Brothers Ben and Chris Gleeson run a boutique coffee roastery at Tuggerah on the Central Coast. 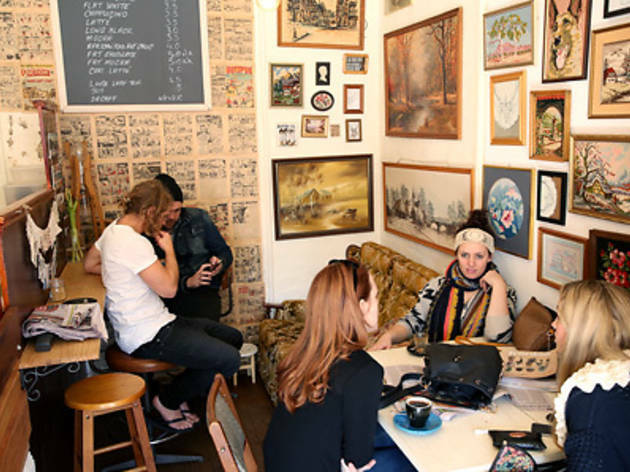 Their Darby Street shop (sister to the one in Erina Heights, near Gosford) is a hole in the wall where pages from comic books fight for wall space with kitsch motel-room paintings and embroideries. There’s a retro couch crammed into the corner and bunting in the front window; it’s like your cool friend’s cramped but comfy lounge room. Two indie kids labour behind the counter, one serving simple snacks like muffins, banana bread and panini while the other works the machine. Grab a stool in the front window and a flat white made from their full-bodied house blend, and watch the world go by. 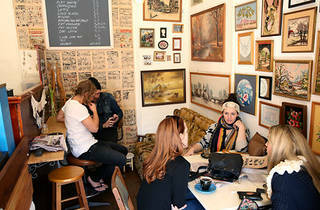 Actually, much of the world finds it can’t go by – there’s a constant flow of young mums, worker bees and cool kids picking up takeaways from one of Newcastle’s hippest purveyors of the mighty bean.